Farmgrass: Your farm really is a beautiful place. How long have you been here? ​'​83, and then when we started to farm (catfish) nobody wanted to buy it. It was a luxury, everybody was in survival mode, they weren’t buying frivolous things like fish. Karen: Hershel went back to Alaska to work. 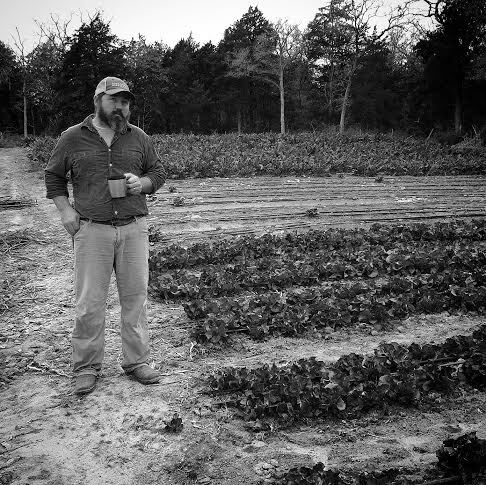 Hershel:: I was working contracting jobs on military bases, and then came back to farm. Karen: Farming was hard, I was back here in Texas with the kids trying to hold down the farm. Hershel: We were burning money into the ground so fast, and then it evaporated like rain on a hot day. We moved back to Alaska, and our goal was to get the farm paid off. Karen: You know the song “I was country when country wasn’t cool? He was organic before organic was cool. It was the '​70s. Hersh: I had a greenhouse up there and started growing things organically. It was 2005 when we decided to move back. In 2003 we rented our house in Alaska to a guy who we trusted to not burn trash in the wood stove in the basement. There’s nothing nicer than sitting around a wood stove. We thought the guy was all ​right, and when we talked to him, we told him not to burn trash or construction waste because it has glue in it. When you burn it, it coats the inside of your pipe, and can cause a fire. I went up there, and found a stack of industrial cardboard on the front porch. Sure enough, he had burned the roof out...That’s when we decided to that we’re going to make a living here and make it work. FG: What does a typical day look like for you? What are you going to do tomorrow? Hershel: We get up early because of the roosters. They wake you up. We get up and see if anything has happened during the night that needs first attention, and then it’s take care of the animals, take care of whatever nests they’re in, and then start on the jobs that need the most attention. Karen: I’ll be helping him and preparing for market. Getting granola ready and​ cooking, which i enjoy, so it’s a pleasure, not a chore. FG: What's your greatest struggle? Hershel: There are so many problems and challenges, it’s hard to name the greatest. For example, I’m behind on my tomato plants. I have so many and no place to plant them. With the rain we’ve been having, I need to till the beds and get them ​ready to plant. That’s the most pressing thing right now. There’s always something. Pipes break, water running everywhere, cows knocking down a fence or a gate and they’re out on a county road. There’s always something when you’ve got a lot of animals. FG: We loved having you two at Farm to Feast a few weeks ago. What’d you think of it? Karen: it was so beautifully done! ​a​ relaxing time, good company, good food. It was a great event. FG: We wanted people who are not farmers to interact with farmers and get to know them. Did you get a chance to meet anyone? Karen: It was so nice to meet everyone and talk to them. They wanted to know about us and what we do. Hershel: We were curious about how the woman sitting next to us knew about the event, and she said she’d read about it in Edible Austin. Her husband asked her what she wanted for her birthday, and she said she wanted tickets to go to Farm to Feast. FG: We were really surprised. Of all the people who purchased tickets to the event, we didn’t know a single one of them. Who are these people? How did they find out? But we’re glad they’re here! Hershel: One of the things I was amazed by was how young so many of the people were. FG: There seems to be a movement where young people want to know where their food is coming from, they want to be community driven. FG: People at the Farmer’s Market say you have the best beef in Texas. Do you think you do? Hershel: [Laughs] I have no way of knowing that, but I know ours is very good. I know that it couldn’t be raised any better. 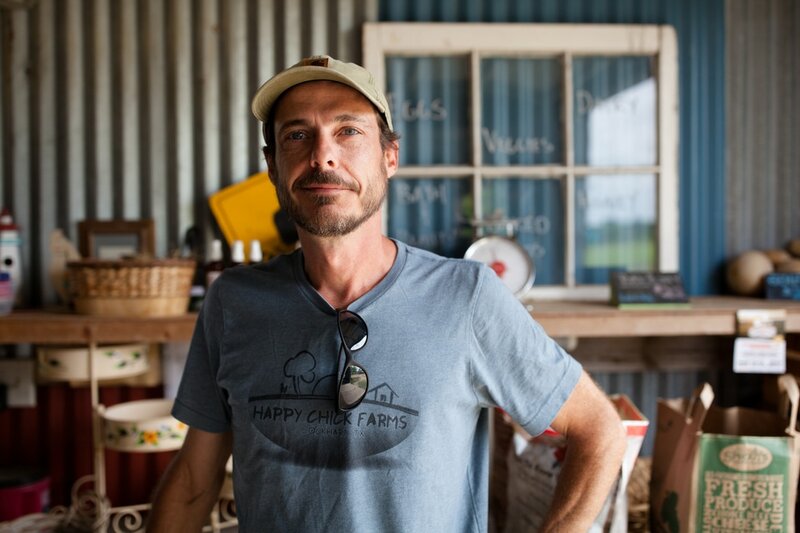 You can find the Kendall's delicious Black Angus beef and other tasty treats at the Sustainable Food Center’s farmers markets at Sunset Valley and in downtown Austin! "The idea of actually having someone be my boss is pretty offensive." Farmgrass: What do you love about being a farmer? Nathan: The constant challenge, and there is never a lack of something to learn. And I love being outside, and I’ve pretty much always been my own boss so the idea of actually having someone be my boss is pretty offensive. What about you Mom? Cindy: I get totally bored being inside, I’ve always been an outdoor person. I’ve had a few jobs where I’ve had to be inside and I just didn’t like it at all. I would be in any kind of weather as long as I could be outside. I love growing things, animals, science, botany - all those things that are combined in farming. To me, it’s the best life. You don’t get rich but you have all the vegetables you would like to eat! 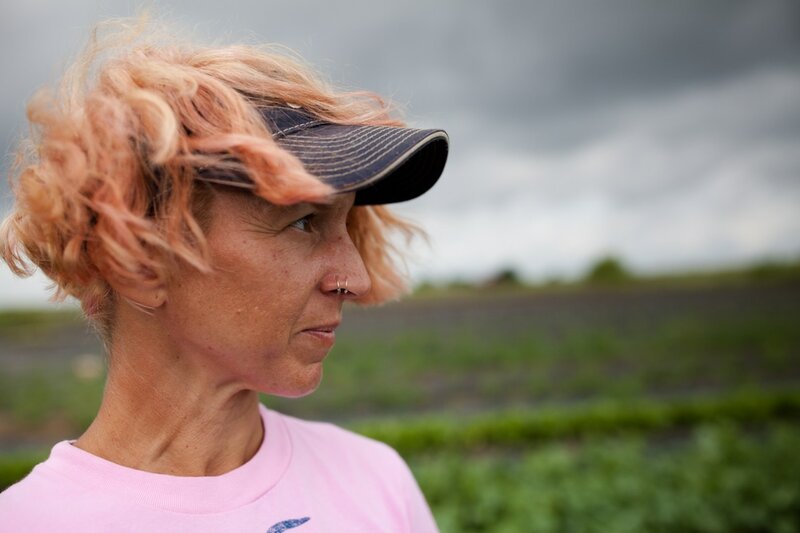 Cindy: One of our employment things should say - ‘If you can’t keep up with a 62 year old woman, you’re probably not going to do it!’ It’s a lot of hand labor in our size farm, it’s not just riding on a tractor all day long. Farmgrass: What is your greatest struggle? Cindy: I think our greatest struggle would be that we started with poor soil so improving the soil. And now we’re getting to a point where it’s getting better so that’s rewarding. We have happy plants. Seeing the plants get healthier each year, I really enjoy that. I look upon them as little creatures. I feel responsibility for their survival. You’re developing an ecosystem; we have hundreds more bugs than we first did, hundreds more butterflies...we always want to think of the whole big picture. I’m in charge of more of the day to day things, Nathan does most of the marketing. Nathan: I didn’t expect that it would take so much marketing time to sell this stuff. I think we were both a bit naive on that aspect. 20-25 hours a week of my time is spent selling and delivering the produce. So that has been a struggle, and also finding labor for the level we need. People will help, they just get burnt out. Its just the reality. We planted a whole bunch of potatoes, and the weather didn’t cooperate and we lost over a thousand pounds of seed potatoes and about $10,000 worth of potential crop. And a guy from Odd Duck was asking me, well aren’t you mad? and I said if I got mad each time a crop failed, I would be pissed off all the time. You have a couple of beers and you get over it. If you don’t want failure, don’t farm. Cindy: We call farming ‘legalized gambling’. 100% percent. Farmgrass: Any music you feel embodies what you do, or inspires you? Cindy: We have a farm song. Nathan: Zac Brown Band - Chicken Fried. That probably is our theme song. Cindy: He has a wider range, but I pretty much just like bluegrass, folk and country. "We don’t get television reception. That’s a choice. We watch things on Netflix. But at the end of the day we sit outside, we have one gin-and-tonic or one glass of red wine, open the windows, and we listen to music that runs the whole gamut." 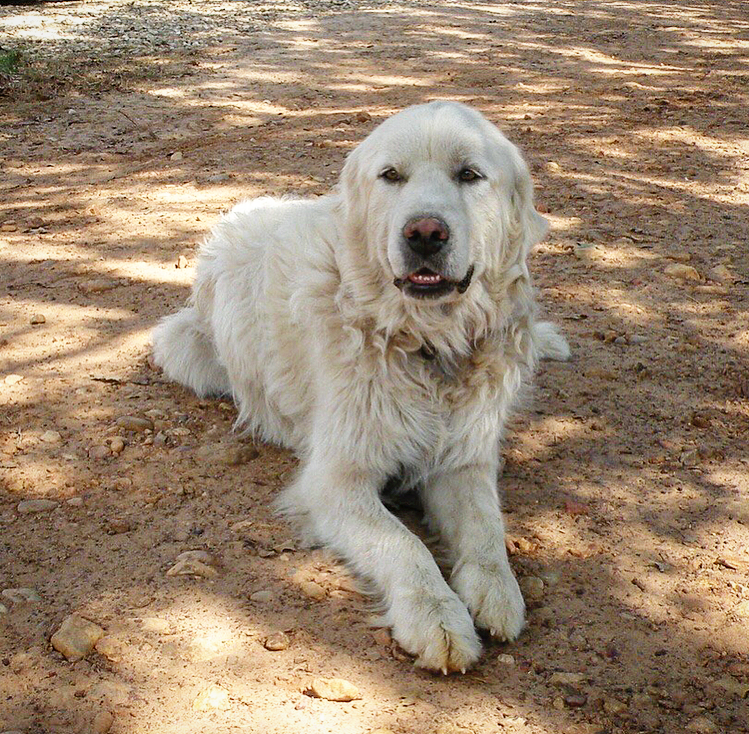 Last weekend, Farmgrass went to see Jane and Terry Levan. She and her husband Terry of Dewberry Hills Farm were happy to show us around their chicken farm, even in the middle of a work day. 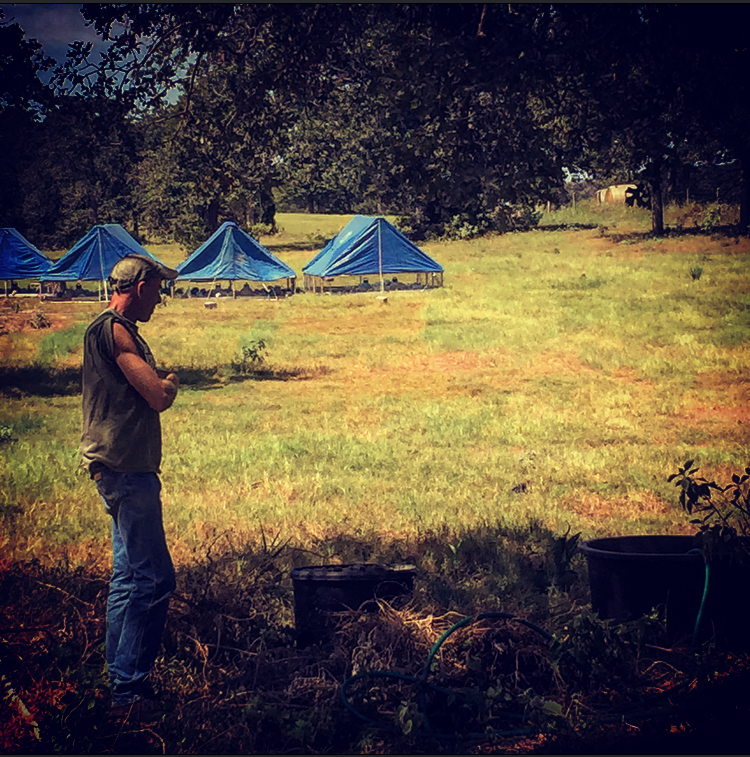 We saw their chicks of varying ages, fully grown hens in spacious, shaded tents rigged with cooling misters, and their beautiful farm grounds just outside of Elgin, TX. In 2012, Jane tripped over a tractor that had been disconnected, breaking her arm. Without health insurance, she waited two days with only a sling before driving herself 45 minutes to seek medical attention, leaving Terry to keep the farm running. "I cannot convey how scary it is to realize that...you can’t work. […] You’re putting the entire burden on your partner to keep things running. At the same time you don’t know where (well I did because people did this for me) but you don’t know how you’re gonna possibly pay for [the medical expenses]. You don’t know if you’ve just thrown away your future." Farmgrass: What brought you into farming? 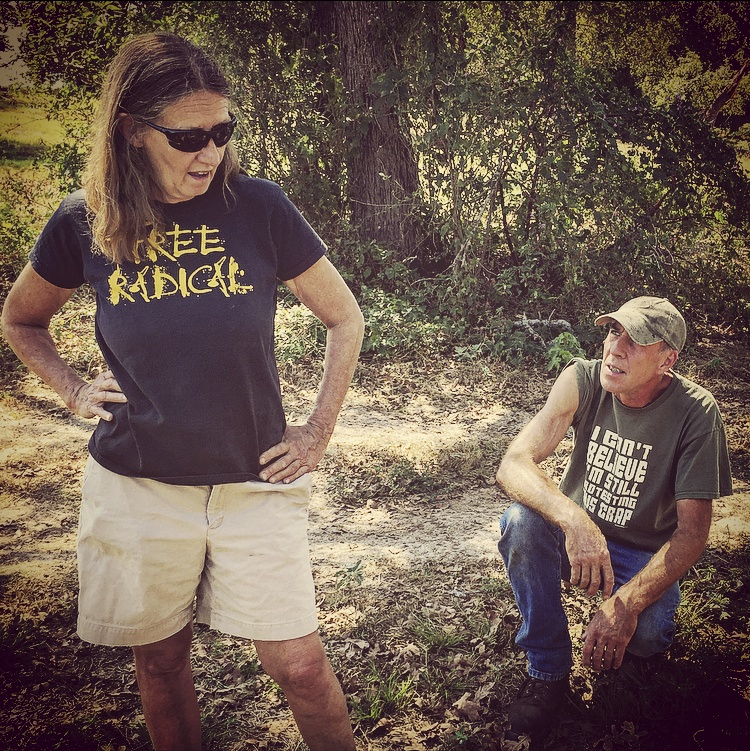 Jane: Before we started farming, Terry had a computer business and I worked with him back in Austin. Before that I was a travel agent, because I really like to travel, and I like to sell things, but I can’t sell things I don’t believe in. 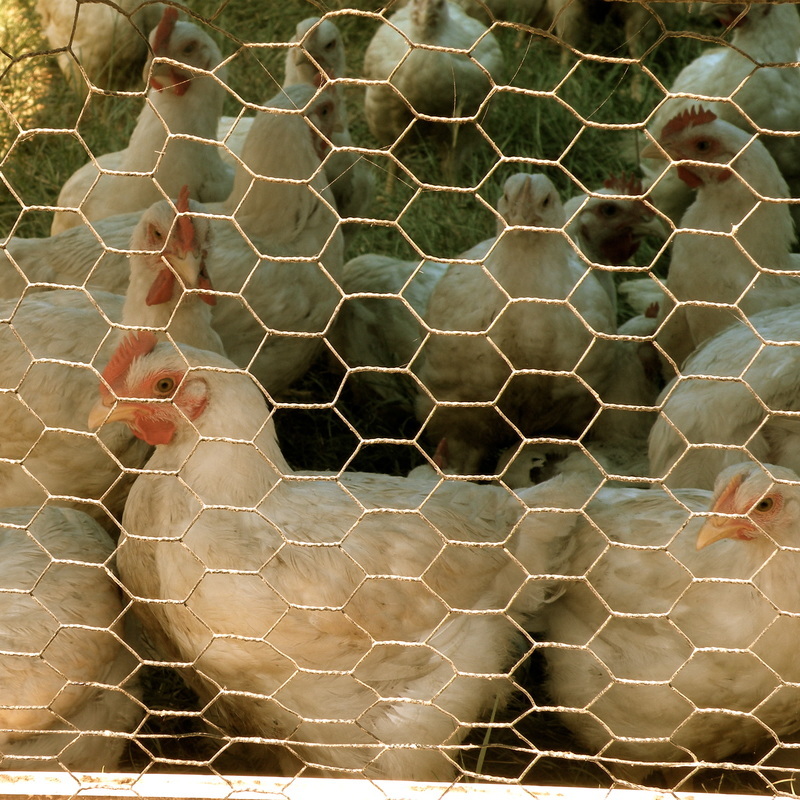 In 1999, we decided to dramatically change our lives, and by 2003 we started raise and sell chickens ourselves. By 2008 we went full time. It's been a really intense learning experience. Jane: "…here is my conflict, a really big conflict for me; I have to sell my chickens whole for $4 a pound at the farmers market. I can’t go any lower than that. And it’s not much off wholesale. I really can’t, but I don’t want to have chicken that the people I most want to feed cant afford it. That kills me. We had someone whose family moved from Louisiana last year and he came out to see us. He managed a warehouse in Austin, she was a barista at Whole Foods, two kids, they're really great people. He said that buying a chicken from us every other week was hard on their budget. John McCain and some other idiot in the Senate said that Farmers Market food is for the wealthy people. It's not. I’ve gotten to know the people that shop at the farmers market and they are people that are committed to doing without things that other people consider a necessity…I respect people who make choices to change their lives in order to eat responsibly. How do we bridge this gap? How do we make really quality organic food, or non-organic but raised right, affordable for the majority of Americans? And then how do we convince some that they want it?" FG: What's the oddest thing that's happened at your farm? Jane: "In 2011, when we had that drought, we had a freak hailstorm. Terry looked like he had ringworm. It blew his hat off trying to hold down these tents. 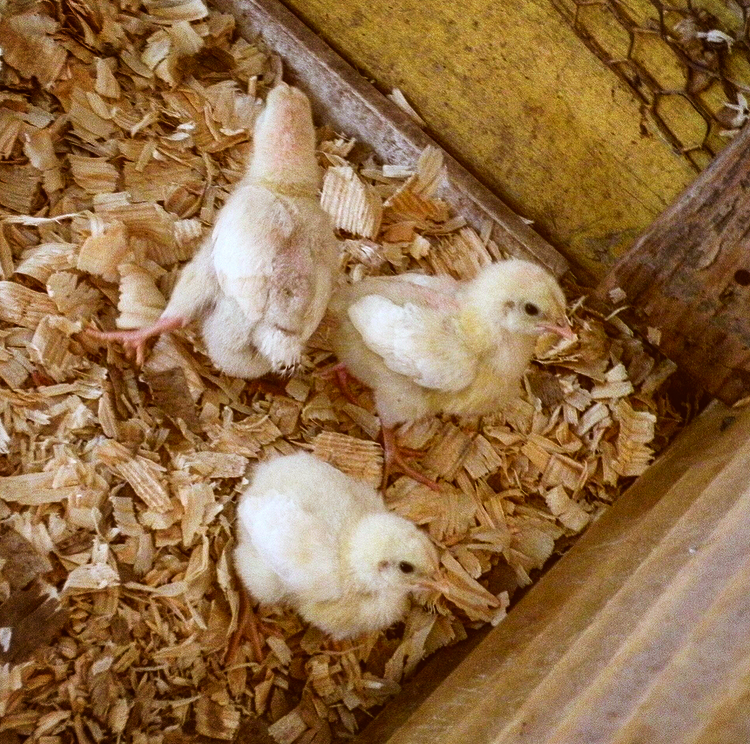 We had two tents of our newest [chickens] blown over and those birds were all completely lifeless. We scooped them up into crates. Stuck them under heat lamps, and I started blow-drying them. Every time I picked up a bird, I said ‘this ones dead,’ but they all came back. It was phenomenal." FG: Tell us something fun or peculiar about you. Jane: "Oh course you saw that picture [of Terry and I] in the Statesman right? Once upon a time, I would have been in absolute ‘Oh my god, I have no makeup on.’ I had just killed 80 birds that day, it's one of those things that as you get old you just don’t give a sh%$ about. I’m gonna be seen, but I’m working and I don’t really care. " FG: Do you have a favorite band? What do you listen to while you're working? Jane: "What I can say is this: we don’t listen to music while we’re working because the machines are loud and we couldn’t hear it. We could get one of those things that you put in your ear or your pocket, but we don’t do it when we’re out in the fields because we have to communicate with each other. The guys listen to music in their Gator…But what music really does, is that after the day is over it’s really my go to. We don’t get television reception. That’s a choice. We watch things on Netflix. But what we do at the end of the day is we sit outside, we have one gin-and-tonic or one glass of red wine, we open the windows, and we listen to music and it runs the whole gamut. I mean it runs from we’re old hippies so the grateful dead, to Yo-Yo Ma, we were listening to Phantom of The Opera last night, to David Grisman on a bluegrass compilation…The only things I don’t really listen to are rap and metal." FG: We're thinking of turning Farmgrass Fest into a rap and metal festival. 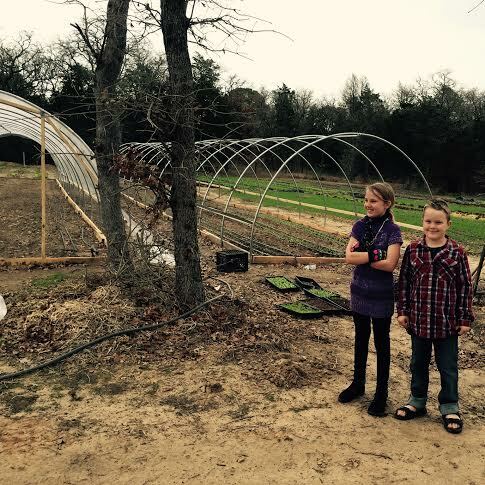 Check out Jane and Terry's Farm and learn more about them here.